Spine and Sport offers educational sessions and community presentations on wellness, prevention, performance, and rehabilitation topics. Topics can be individualized for your specific needs, or we have a list of topics to choose from. 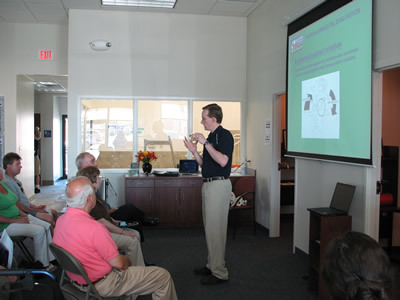 If you, your workplace, or your community group would like schedule a presentation, call us at 279-SSPT (7778).